INNOVATION is Pervasive (with a capital P) in economic development literature, and easily the most oft-cited economic strategy of think tanks, political candidates and state, local and federal government bureaucracies. Innovation, Entrepreneurs and Education for the Knowledge-Based Economy are the remedies for the post-2008 Recession, Structural Unemployment, City and Regional Revitalization, and infected toes. But from what dark and dingy basement or attic did innovation and knowledge-based economics come from–that is how did it become the cure all for everything that ails the world? It’s been prominent for a decade or so, but old, useless economic developers like the Curmudgeon worked most of their professional careers without hearing about this fabulous, one size-fits all, silver bullet. To the Curmudgeon, the dynamic duo of innovation and knowledge-based economics really didn’t become the paradigm it now seems to be until around or shortly before the turn of the century (21st dummy). Innovation and the knowledge-based economy seemingly is accepted largely because it seems so evident, so commonsensical, so obvious, so American! Innovation, Creativity, Information Age economics have become economic development’s theoretical equivalent to mom and apple pie–evolving into a semi-religious, excuse me-secular, belief system from which deviation is punishable by professional death and certain economic failure. So all these messianic strategies exist; everyone believes in them– so get over it– deal with it. But where did it all come from? What are the Ten Commandments of Innovation? 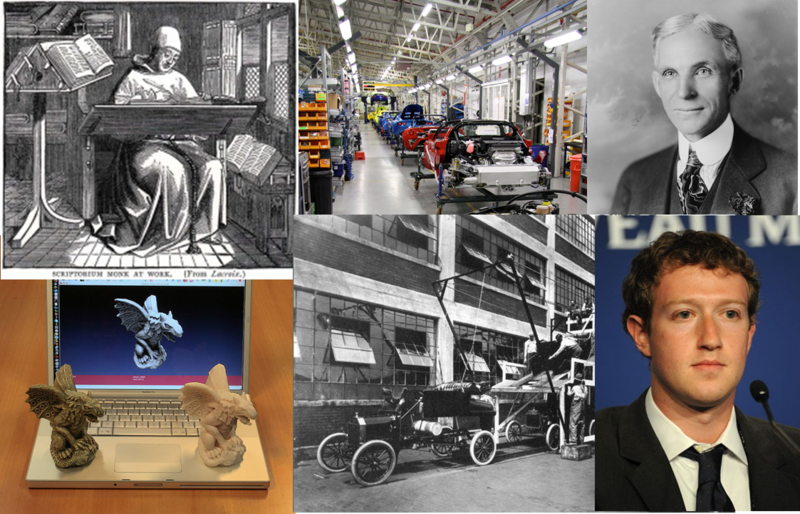 Who wrote the Bible of innovation economics? What is in this Bible of Innovation Economics? Who can we thank for converting us to the sure and constant fact that innovation and knowledge-based economies are the only feasible path to economic competitiveness for the United States. It would seem logical to the Curmudgeon that Innovation and Knowledge-based Economics should have originated among one or another of the High Priests of the Economics Theocracy. It must have been assembled from some theoretical literature, derived from indefensible data or incomprehensible modeling equations (ideally both). So the Curmudgeon rambled and rummaged around the theoretical cellars of the economics profession and tried to find the right carton in which the secret texts were stored. The task of finding this hidden carton was made very difficult because no matter who cites, advocates or bows toward Innovation, there is never, ever any footnotes, no original text cited, no founder proclaimed and worshiped. 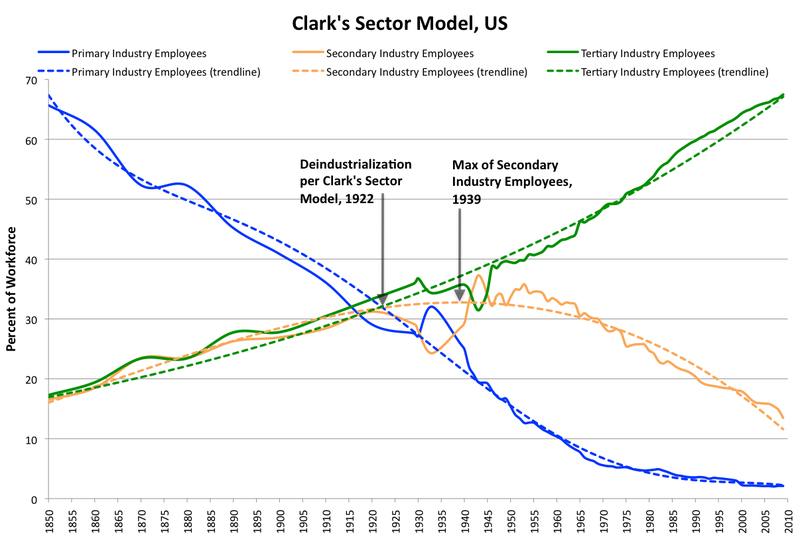 Clusters has its Michael Porter–but who bedeviled us with Innovation and Knowledge-based Economics? Eureka! He found a box, hidden away in an obscure corner of the Neo-Keynesian basement, which he believes contains the foundation texts of our current innovation and knowledge-based paradigm. The box was labeled “Growth Economics”. Unless you are a professional economist, and a recently trained one at that, it is not likely you ever, ever opened this box before. For most economic developers, innovation and knowledge-based economies are old hat–but innovation and knowledge-based theoretical framework developed in the late 1970’s, 80’s, and early 90’s. To be sure there were Moses-like forerunners (you heard of Schumpeter, haven’t you?) but, for most of us, the prophets of the new order are relatively unknown, or if known, are no longer known for their role in developing this new secular faith. Not to worry. Translating as best he can, these secret and hidden texts will be revealed by the Curmudgeon in the below paragraphs. Hopefully, by the end of this review the reader will fully embrace the major concepts of growth economics which developed in spurts from the mid-1970’s or so to 1995. Wandering about the theories and models associated with the dismal science of economics is not a task which promises enjoyment; but, the Curmudgeon will try to do what few economists will do-he will attempt to strip away jargon, equations, and complex terminology and write in something approaching English. He will no doubt largely fail–he is dealing with economic’s after all. But he will try. Appealing to the inner proctologist in the reader, he will travel obscure byways, normally undecipherable to the sane, or to those that have a life. The simplification (which comes naturally to the simple-minded Curmudgeon) evident in this review will no doubt inspire outrage from the economist peanut gallery. We expect outcries of “Oh my God, did he really say that?” Or even better, “He is not precise”. Nevertheless, the Curmudgeon will plod onward, or downward, as he trips over the concepts, ignores the equations, and simplifies the relationships in his basement review of the theoretical foundations of innovation economics. His Guide? David Warsh, Knowledge and the Wealth of Nations. Where to begin? First, David Warsh’s, “Knowledge and the Wealth of Nations: A Story of Economic Discovery”, W.W. Norton & Company, New York, 2006 will be our primary source. In addition, as background and as a recommendation to the reader, the review will also rely on Elhanan Helpman’s, “The Mystery of Economic Growth”, The Belknap Press of Harvard University, Cambridge, 2004. There is a reasonably-sized, but highly mathematical and modeling-based literature available from other authors, but Elhanan Helpman, can be suggested even for those of us who actually minored, majored (or mastered) in economics. Warsh’s book is, on the other hand, excellent, and at times a readable, non mathematical narrative which describes and explains the evolution of “growth” economics. Warsh outlines the lives and contributions (concepts) of its principal adherents (including Robert Solow, Robert Lucas, but especially Paul Romer and Paul Krugman); and he effectively links them all to Joseph Schumpeter. The critique of growth economics-especially by Gregory Mankiw is also discussed. Modern capitalist economic theory, like Christianity, is divided into two major faiths: Neo-classical and Neo-Keynesian. Both capitalist wings share belief in the primacy of impersonal, disaggregated “private markets” (driven by the interaction of individual firms). (Are you bored already?) This private market, reflecting a supply and a demand for individual goods and services, creates a price. This is the proverbial “invisible hand”, which allocates the distribution of goods and services produced by the economy. The primary unit of economic activity for both is the firm or the individual consumer and their key variables and concepts, which typically underlie both approaches, are usually more micro-economic (firm/individual-specific) than macroeconomic (national economy). The goal of both is to induce the individual firm or consumer to behave in a manner to achieve the desired ends, usually making a “profit”. Growth economics (a sub-discipline of economic theory and “their” name for innovation economics) arose in reaction to important limitations of the mainstream, orthodox Neo-classical and Neo-Keynesian wings. Since World War II, Neo-classical economists (such as Glenn Hubbard and Robert Rubin) believe that capital accumulation (wealth, investment, savings, for instance) primarily drives economic growth. If economic growth is desired, one must encourage savings which can then be used to finance new productive assets such as capital equipment and workforce hiring. Savings equals investment (Says Law), investment pays for the injection of new resources which create new demand. Neo-Keynesian economists, (Larry Summers) however, stress that the demand side drives economic growth. Growth can be induced by government spending, in particular, which increases the supply of wealth and savings by “printing” money”. Printing money is another name for budget deficit. When economic growth is desired, government spending is increased to stimulate new investment and hiring–and eventually enhanced demand. If government-induced growth creates inflation, the economy can be slowed by eliminating the stimulus/deficit, retiring or paying off government debt, and thereby reducing the supply of money in the economy and inflation. While Keynesian’s advocate using government more than the Neo-classical approach (and hence can appear more macro-oriented), both prefer a government which limits itself to certain types of policies with narrow objectives and responsive to specific situations (business cycle, deficits in a recessionary period or government tax policy to encourage savings) rather than a government which is an active player in the private economy. The government ought to “tinker” with the private economy—not bend, fold and spindle it on a regular and long term basis. Government should do its thing only when it needs to correct a specific problem—and, after fixing the problem, leave the markets to their own devices. According to Warsh, a new generation of economists emerged during the 1970s who, in most ways, remained either Neo-classical or neo Keynesian in their core approach, but were interested in addressing different questions and concerns than their more conventional colleagues. There were two questions in particular which prompted them to move in new directions. The first question was “growth”. These semi-dissident economists wanted to know how emerging economies of the third world could expand more or less continuously, not in cycles and never, ever maturing or declining at least until they had caught up with the developed world. They wanted to offset the likely possibility that an initial growth by one nation (or firm) could be “locked in” or made permanent , preserving indefinitely their initial growth advantage and precluding any possibility of “convergence” over time. If the first economies to grow could lock in its advantage (achieve, in effect a monopoly) that meant the emerging economies could never really hope to ever catch up. To eliminate the threat to economic convergence, growth economists would eventually devise a model which included a set of governmental policy prescriptions. If government enacted these prescriptions, the growth economists suggested, their economy would be transformed into a growth machine which could not only alleviate the late 1970 era disparities between the developed and the developing nations, but could also reduce intra-national inequalities in the allocation of goods and services to their population. In developing this growth model, the new growth economists broke with the two mainstream Neo wings because the dissident growth economists were unwilling to accept the inevitability of economic convergence or reversion to the mean, as specified by the Two Neos. Mainstream Neo economics both accepted that over time, the advanced economy would decline and sooner or later the emerging economies would grow and “converge” to some sort of rough equality with the developed world. The Neo mainstream, therefore, accepted the notion of an inevitable decline and the impossibility of creating a virtually perpetual growth machine. Inevitable decline and the impossibility of perpetual growth was unsatisfying to the new generation, in part, because the young rebels asked a second question. Growth economists believed that under some conditions Mainstream Neo economics was wrong, incorrect, faulty in at least one respect. The growth economists believed (and they felt they mathematically proved) that growth by one firm or nation could be maintained indefinitely, condemning all competitors or less developed nations into a more or less permanent inferiority. At its root, growth economists wondered whether the normal long-term end product of the private Neo-classical and neo Keynesian markets would in fact result in “a reversion to the mean”. Growth economists rejected convergence. More or less permanent oligopolies could result from the advantages created by an initial head start and this would prevent any convergence from happening. This was unacceptable. To address this second question, a late 1970ish whippersnapper, Paul Krugman (yes, the present day, Nobel Prize winning New York Times economics commentator who has recently published “End this Depression Now” (W.W. Norton & Co, 2012 )) wrote a series of articles. 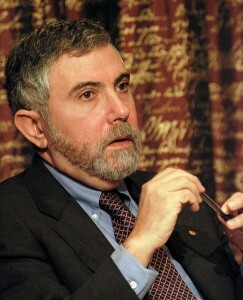 Krugman developed a series of mathematical equations which “explained” the observable reality that some firms become near monopolies (Microsoft) and sustain indefinitely their dominance. Similarly, developed nations, having enjoyed a head start in economic growth, would also be able to indefinitely “lock in” their dominant lead over the developing nations. For the Growth Economists convergence or reversion to the mean was the exception, and not the rule–and the Two Neos were themselves wrong!. For Krugman, there existed an imperfect competition which allowed near-monopolies to continue indefinitely and to compete with other near monopolies—monopolistic competition. Further evolution of Krugman’s thought led him to conclude the best, most effective remedy to monopolistic competition (GM competing with Toyota) was an involved government (P.234). … he (Krugman) had demonstrated how it might be possible not just for a firm but for an entire nation to lock in certain advantages, to lock out competitors. (P. 186). The principle of geographic differences, of comparative advantage, was no longer the only possible explanation of patterns of international specialization. Sometimes history itself-whatever country got a good start-might be the cause. (P.187). Growth or innovation economics would become, for growth economists anyway, the solution to the limitations of the orthodox theories. By correctly understanding what really caused growth and by consciously using government policy to perpetually create the conditions which fostered growth, a perpetual growth machine could be created which would break up monopolies and overcome any advantage arising from being the first on your block. On the whole, growth economics was able to operate within, admittedly on the fringes of, the dominant conventional neo classical or Keynesian theories. At its most basic level the new, embryonic growth economics did not abandon the Two Neo orthodoxy. Instead, growth economics offered a “plug in” approach to these conventional theories—an approach which, suiting the needs to a new generation, asked new questions, permitted experimentation with math, equations and sophisticated modeling, all of which could be bent, folded and spindled by the newly available computer on newly developed data sets. And so research, addressing these two basic questions, stimulated a two decade evolution of growth economics which solidified into an established sub-field of economics. At its most basic level, however, the new, embryonic growth economics did not abandon the Two Neo orthodoxy. Instead, growth economics offered a “plug in” approach to these conventional theories. It was an approach which suited the needs of a new generation, asking new questions, and permitted these whippersnappers to experiment with math, equations and sophisticated modeling– all of which could be bent, folded and spindled by the newly available computer using newly developed data sets. Importantly, advocating for growth economics did not require its proponents to abandon the Two Neos. Instead, using the new techniques, modeling methodologies and the computer, economic theory could deal with, and explain critical issues and questions pertinent to a late 20th century world while retaining the overall theoretical perspectives contained in the Two Neos. American growth economics stayed inside the Two Neo ballpark–way out in the bleachers to be sure, but in the ballpark. Their ability to stay in the ballpark, however, was in no small measure caused by the simple reality that not even economists read their articles, largely because they were all math, modeling equations and understandable only to those who understood corvex mathematics. How to Construct a Timeless Growth Machine! Originally our two questions were dealt with separately by separate researchers. 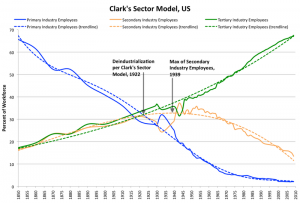 Only over time (in the late 1980’s and early 1990’s) did they finally come together to form what we today know as growth or innovation economics. At its inception in the 1980’s, and galvanized by an important lecture by Robert Lucas in 1985, several researchers began to focus on the second question “how can one consciously and continuously grow an economy” (i.e. not leave it just to the invisible hand). The two mainstream Neo wings specified two core factors of economic growth: investment capital and demand. For a perpetual growth machine, more input factors were required. On the fringes of the orthodox mainstream Neos, there existed a model of growth outlined by Robert Solow (he is probably less a growth economist than a Neo-Keynesian). In this outlying model Solow had added a third force in addition to capital and demand: technology. 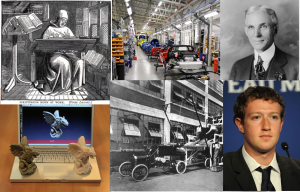 Technology and its introduction into the economy was a very critical driver of economic growth. But Solow left it uncertain as to whether technology was a force external to the economy (and hence not a part of economic theory), but whose impact could drive economic growth (and decline) OR was technology actually a process internal to the economy and the consequence of normal interactions of the private market (and hence suitable to be included into economic theory). You have to be an economist to get “into” this external versus internal debate that followed. We are not economists and so suffice it to say the latter position would eventually be accepted. Once technology and its successful commercialization became kosher for economists to include in their models, the next issue was whether technology (and innovation) could be encouraged/inhibited through economic policy to enter into private markets OR whether technology more or less, Deus ex machina-like, invaded the economy and transformed it without meddling by government or economists. Growth economists (chiefly, Paul Romer) embraced the former position and eventually through math and equations proved, as only math and models can, that history and government policy had considerable effect on the introduction of technology into private markets. Governments and public policy were,therefore, crucial elements of the third force of economic growth. As a political scientist, the Curmudgeon approves, but he must observe this position really put a strain on Growth or Innovation economics’s ability to stay within the Two Neo conventional mainstream. Romer was talking about seriously heavy doses of government on a more or less continuous basis. This was not “tinkering” with the economy and then leaving it to its own devices. But even technology and government policy was not sufficient to create a perpetual growth machine. More was needed. So riding to the rescue was Paul Lucas, who expanded upon the orthodox mainstream-Two Neo Solow model. Solow largely accepted the pooh-poohed Two Neos notion of reversion to the mean (convergence). Economic growth had limits for Solow. Economic growth was not perpetual-the growth machine would eventually break down and the economy would inevitably travel on the road to convergence. Economies could grow, but then they matured. “Growth itself was a stage” (P.207). There are no trees growing to the sky with Solow—no growth machine capable of overcoming the adverse lock in effects of monopolistic capitalism or the head-start lock-in by rich over poor nations. Lucas sort of fudged Solow’s limitation. Lucas “proved” (those modeling equations again) that injecting “human capital” (entrepreneurism, creativity, etc.) into technology, human capital could become a fourth driver of economic growth (capital, demand, technology and now human capital). These four drivers could achieve a sustained over time critical mass that was capable of overcoming any Two Neo return to the mean (convergence). In one respect at least, however, Solow’s model was inadequate to the needs of the growth and innovation rebels. Lucas had legitimized as an element of technology and economic growth, the concept of “human capital” which included skills, intellectual capital and technical and something called scientific “knowledge”-whatever these things meant. Enter another whippersnapper, Paul Romer, the son of a Colorado Democratic governor and onetime co-Chair of the Clinton-era Democratic National Committee, who fleshed out this new human capital driver into a force unto itself! Romer defined and explained what the concept of scientific knowledge actually meant. “Suppose that human capital externalities really do constitute a “powerful unseen force (which) is at work in economic life’” (P.241). 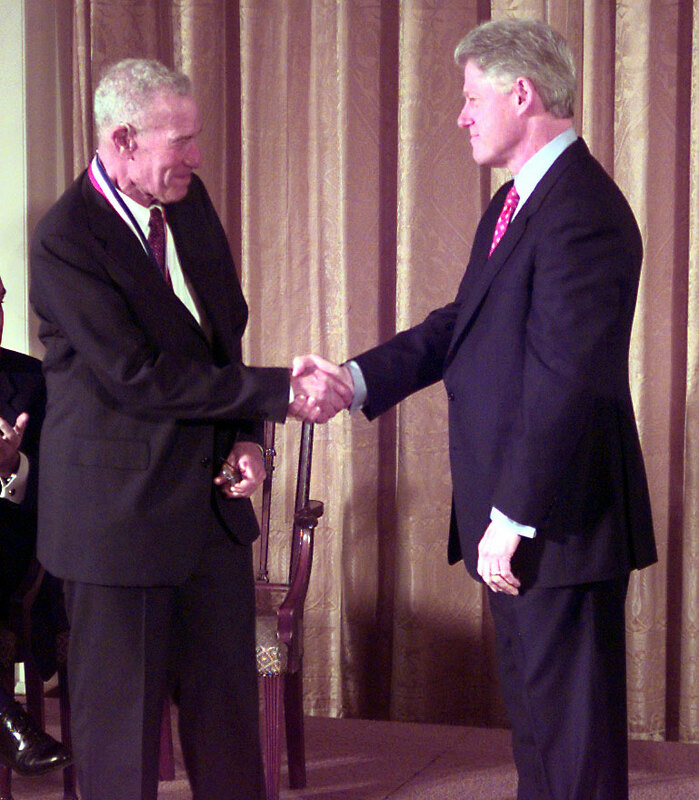 Through his contributions Romer, incorporated the workforce and human capital into growth economics and in so doing completed construction of the innovation-knowledge growth machine. Technology alone was not enough, Romer asserted, without being linked to the creativity and innovation associated with human capital. The “spillovers” from human capital and technology provided the needed power to overcome any convergence of reversion to the mean. Lucas and Romer suggested that technology and human capital spillovers were integral elements of the private markets similar to capital and demand, and both could be shaped and impacted by the economic policies pursued by government. Thus the perpetual economic growth machine was created. Back to Krugman: Wouldn’t monopolistic competitors grasp any advantage resulting from Lucas and Romer’s Third Force? All that was required was government regulation of monopolists, government ensuring that education would be available to the general population, and that government would made scientific knowledge be available to all. To address how and why the knowledge-based economy could play such a critical role, Krugman (returning to the fray) suggested the possibility that the issues he had raised earlier in his discussion of ‘lock in’ and convergence were relevant to creating the knowledge-based economy. By recognizing that monopolistic competition should be checked by government regulation, Krugman essentially asserted that government could and should assume as a legitimate function the creation and maintenance of knowledge-based and knowledge diffusion. For Krugman, the key to how government could do this was to better understand “Knowledge”;how it was created and how it diffused through the economy. If knowledge (in all its forms) were available to all, technology advances and the relatively speedy integration of existing technology (commercialization), would not be confined only to monopolistic competitors and developing nations. Any free and accessible knowledge, which was diffused through the economy, its labor force (human capital), and would create disruptive spillovers which would break the lock-in of monopolistic firms and developed nations on economic growth. Innovation, based on knowledge and spillovers, would be constant and able to occur despite the best efforts to the powerful. The growth machine could work in a knowledge-based economy. But again the question was how best to accelerate the spread and integration of these drivers of economic growth — the choice was through (1) unplanned and natural “spillovers” injecting themselves automatically into the normal activities of the private markets OR (2) the conscious intervention of government and public policy. And the reader, no doubt, knows who won that debate! Over the next few years, Romer, Krugman, Lucas and several others would play around, flesh out and pontificate upon various aspects of these new forces. For our purposes, however, as the years unfolded, it became clear that innovation economics had in some significant ways embraced some very different perspectives and noticeably departed from the mainstream Two Neo consensus. Not only had growth economists expanded the forces which could cause economic growth from two (capital accumulation and demand) to four (technology and human capital), but, they were constructing a model which they intended to be a growth machine, not subject to the reversion to the mean syndrome or even the business cycle, through the use of government. Economic involvement by government was not to be intermittent, a response to a problem or a particular situation. For the growth machine to be perpetual, the perpetual involvement of government policy was required. This sustained growth required active intervention, consistently applied, government-led public policy. Government was to create a positive environment for innovation in technology, change (creative destruction and entrepreneurship) through the diffusion of basic and applied knowledge, which would be made available to all. Monopolistic competition could be dealt with through increased regulation in the form of the old Teddy Roosevelt, “trust-busters”. So, in this spirit, Romer for instance, unsuccessfully worked with Congress to break up Microsoft. Perhaps, almost by default, as “innovation economics” evolved, it developed a special and reasonably active role for government, especially the national government. Indeed, some growth economists examined the “big pushes” of historical governments during the nineteen thirties, forties and sixties to better understand the past experience of governmental leadership in injecting change and creating technological and human capital leaps forward. These investigative sidesteps, fortunately, led no where but by the nineties, the use of government and government policy had become cornerstones of what was now called innovation economics. Up to now, innovation/growth economics could be summarized into the next few sentences. Growth economists had expanded the Two Neo models by adding two new forces which could create future economic growth. Economic growth now could result from adding to the two Two (awkward, but correct) Neo traditional sources of economic growth (capital accumulation and demand) and expanding to four (by adding technology and human capital) sources of economic growth. As importantly, growth economists were also constructing a model which they intended to be a growth machine, capable of overcoming any reversion to the mean syndrome and even the business cycle itself. This growth machine was to be accomplished through diffusion of knowledge, which more or less leveled the competitive playing field, and accelerated technological, change, entrepreneurism and innovation. Presumably capital accumulation and demand creation would be positively affected and economic growth would follow. The mechanism for this diffusion of knowledge was governmental policy (chiefly regulatory, applied research, and educational and skills training). Logically, the correct mix of government policy, therefore, could transform the national economy into a growth machine—capable of an almost indefinite capacity for sustained, long-lasting (non cyclical) growth. In so doing, growth economics answered to its satisfaction those two, now infamous, questions which prompted its now-decade long existence. So, having achieved their holy grail, growth economists were ready to move on. But more conventional economists well within the Two Neo mainstream were finally taking notice of this new sub-field of economics. And they didn’t like what they saw! So in the nineties, innovation economics left the Two Neo invisible hand in the dust. And for good measure departed from mainstream economics’s obsession with the individual firm and private markets. In its place, Growth Economics emphasized national, aggregated markets (a national economy or– for instance the American economy) and government’s role in that economy. This is not especially good, if you’re still a card carrying member of the dominant Two Neo wings of the profession. Not surprisingly, these two wings in time expressed their curmudgeonly opinions regarding the transformation I am about ready to describe (see below). Moving wholesale away from the two Neo’s core micro-economic focus (the economics of the firm/consumer) to macro economics (the study of the whole economy, complete economic systems) innovation left behind the behavior of firms or individuals and became more concerned with developing those public policies which could create and maintain a national growth machine. All of this evolution came more or less came together at a 1988 private economist conference in Buffalo, New York (paid for by Jack Kemp who was at the time giving a primary to Bush #1 at the time). At this conference, the principal economists associated with innovation economics presented papers and commenced the codification of what today we call innovation economics. The Curmudgeon is particularly proud of this Buffalo conference because in 1988 he was Erie County’s (including Buffalo) Economic Development Coordinator. Therefore, in the spirit of “shoot anything that flies; take credit for whatever falls”, the Curmudgeon claims responsibility for the founding of growth economics. After all, if it happened on the Curmudgeon’s watch, he did it–(admittedly, it would have been better had he known the conference was happening, and if he had the vaguest clue as to what growth economics was)! Anyway, the Growth Economic’s shift to macro economics , its desire to regulate private firms so to ensure the diffusion of knowledge throughout the economy and to curtail the likely possibility that some firm would be able to acquire control over knowledge meant that growth economists had to grapple with still one more theoretical obstacle– something, I am not kidding, called “rival goods”. Leave it to economists and their theories and modeling. What the hell is a rival good and why should anyone care? Romer’s treatment of rival goods and services sounds something like this. A good/service which is consumed with its use/consumption- a pizza for instance (once you eat it, presumably no one else can eat it) is a rival good.It’s kind of zero-sum; if I eat it, you don’t. A non rival goods (a good, even if consumed by one person, is still available to others for consumption. For instance, the online article you are reading right now is likely being simultaneously read by thousands. You can read it and others can read it because it is not consumed by your reading it. Well, a rival good cannot be diffused, but non rival goods can be diffused. If knowledge and education are rival goods, then they cannot be diffused. So these economics folk felt compelled to prove they are non rival goods. Education was key, it had to be a non rival good–without a non rival educational process there would be no knowledge diffusion. So many an article was written in math and modeling to demonstrate that if I take a class in economics, my consumption of that class in no way limits the reader’s ability to take a similar class in economics somewhere else. To make diffusion operative, and the growth machine realistic, growth economists had to prove that education, skills training, technological innovations are, or could be made by government regulation or policy to be non rival goods. Frankly, the Curmudgeon would have conceded the point just to shut these fools up. No one asked him. Since knowledge, skills-training, and education fall into the province of government policy. Government therefore, should foster an environment in which education and knowledge are diffused throughout society and the economy. This diffusion of knowledge when combined with a governmental regulatory environment that protects diffusion by inhibiting the lock in effects of monopoly capitalism, leads to the conclusion that government can actually create, or at least significantly encourage, innovation and technological change. The agents of innovation and technological change are entrepreneurs and knowledge diffusers (schools, higher education, workforce training). What Romer was doing was making government a principal agent of Schumpeter’s creative destruction. Notice that as growth economics shifted and evolved during the nineties, government (which is the “tail” of the Two Neos) wags the “dog” (the private economy). This is why the economists consider Romer’s post nineties twist of innovation economics to be so important. A reaction from the Two Neo mainstream is now on the menu. In essence, the Two Neos were not so quick to define all these sectors as non rival and allow government to be such an active player in the economy. the literature of economics played a relatively small part in Romer’s thought. He was reading not Chamberlain and Schumpeter, but Rockafellar, the mathematician, whose book Convex Analysis under-girt (is that a word?) the present day field (i.e. growth economics). P. 219. Romer was following his math and modeling equations, where ever they led him. And his math was moving him toward a break with the Two Neos. Romer wasn’t moving to the left, his numbers were. The reality is that all this growth/innovation blather we have talked about thus far did not penetrate very deep into the Two Neos mainstream. The great mass of economists in the economic profession had no idea growth economists even existed. Growth and Innovation economics into the nineties was only an isolated group of a few young mathematically inclined economists (actually they were more mathematicians) whose ruminations were unknown to most all other economists. How could this be? How could something this important and transformative be relegated to a back room, decade long, intermittent set of articles read by a handful of economists? The reason for the relative isolation of growth economics can, in the Curmudgeon’s opinion, be explained by observing that the articles of Romer, Krugman, Lucas et al are not written in English. They are not for the most part in narrative form, but instead are pages of elaborately developed, complex equations, based on the very sophisticated, and extremely advanced, non convex (lost already?) Dixit-Stieglitz model. Read the featured text on your right (or where ever HTML finally puts it) and this is a typical Lucas conversation. He is describing how skills can diffuse throughout the economy. Now the reader has read the featured text she can now understand how skills diffuse???? Economists couldn’t understand the featured text either and few ever read it. The articles associated with innovation economics confused even the typical economist PhD and demonstrated why growth/innovation economics did not diffuse easily throughout the economics profession. Irony aside a model based on knowledge diffusion had not diffused throughout the profession–apparently it was a rival good? To most economists, the math and modeling based growth economics did not seem to challenge the Two Neos, but instead were either plug ins or playgrounds available to any economist who could decipher the equations to expand research beyond the customary parameters of the Two Neos. But with Romer’s dramatic shift and his increased prominence in the larger profession, the isolation broke down a reaction against the Growth Economists resulted. And what was the reaction from conventional Two Neo economists who dominated the economics discipline and profession (and still do)? Perhaps the most noisy reaction came from Harvard’s, Greg Mankiw, a firm proponent of an augmented Neo-Keynesian Solow model of growth (remember that, you read it earlier). Mankiw, as does Warsh, begins by complimenting innovation economics for its elegant modeling explanation of the obvious. Every Two Neo economist would always have agreed with the core knowledge-based economic concept– “living standards (growth) rise over time because knowledge expands and production functions improve”. (P.377). A great deal of what Krugman and Romer had written in math was, to Mankiw, already part and parcel of conventional economic mainstream thought. But then Mankiw, not so gently, questions why there were still differences between nations (and firms) in growth rate. Why do some nations either choose or simply do not benefit from easily accessible knowledge and technology? Knowledge and education in today’s world are pretty common and given that the Chinese among others, the Japanese before them, and the Americans first of all, had stolen technology and reverse engineered for centuries, why are there still differences in national growth patterns and why do economies decline. Knowledge diffusion already exists and there is no growth machine. Are these nations and firms stupid or incompetent? Or is knowledge diffusion flawed either as a concept, or at least deficient in its day to day application? Neither, Mankiw boldly goes in another direction. No, Mankiw states knowledge is NOT a non rival good. Trade secrets, proprietary knowledge, the presence and absence of technological know how and the sticky transferability of intellectual property itself mean education and innovation are rival goods. They are consumable by only one consumer. Instead, Mankiw asserted the missing ingredients for growth were entrepreneurs who given a favorable environment seize upon knowledge and technology to earn a profit and a fortune. The key to economic growth was the unrestrained ability of entrepreneurs to creatively push their proprietary knowledge to the highest limits creating more and more consumer demand. Mankiw, in effect, anticipated Steve Jobs and Apple by about fifteen years. Mankiw’s implicit challenge to Growth Economics was that instead of a regulatory-activist government, the solution to constant economic growth was a more limited government , restrained public policy and entrepreneurial capitalism. It was the job of entrepreneurs to bring about creative destruction, not government. Mankiw asserted the missing ingredients for growth were entrepreneurs who given a favorable environment will grab available knowledge and technology to earn a profit and a fortune. Instead of a regulatory-activist government, Mankiw’s solution was a more limited and restrained public policy. Mankiw said nothing that dissuaded the growth economists, and he abandoned his fight with them and left Harvard to become George W. Bush’s Chairman of the Council of Economic Advisers. He has since returned to Harvard to replace Martin Feldstein, and is presently an advisor to Mitt Romney. Shortly after the reaction in the nineties both Romer and Krugman left academia and no longer pursue innovation economic research. They both pursued different non-academic careers. His basic criticism is that, excepting the elegant math and incredible modeling equations, the essence of growth/innovation economics (that knowledge is good and everyone should have it) is obvious. Also, so obvious is the importance of technology as a creator of change and progress that it is understood by a fifth grader with an Apple. The Curmudgeon would add that in fact mainstream Two Neo economists did not depreciate either technology or human capital, or knowledge diffusion et al, but were more lacking a way to assess its impact on economic growth. To the extent anyone appreciated it, growth economics provided a rationale and offered substantial modeling and mathematical support to these factors. But as to how economists could and should use these quasi new tools, Growth economics, by its own admission, offered few specific insights–other than to make government more of a regulator, an operator of a public education and patent system. These were things government was already doing. What Growth Economics did, however, (more correctly its math and equations did) was to potentially open the door to transform government into a serious player in economic sectors formerly the preserve of the private sector and to make government an important agent of creative destruction. And mainstream Two Neo economists do not see government as all that effective and as a mechanism for a permanent growth machine. Government can’t deliver the goods, they felt. Warsh, for instance, acknowledged Solow’s observation that the chief limitation inherent in growth economics is that “we can’t routinely double R&D spending and expect to get results, any more than we can routinely slash taxes and expect revenue to increase”. (P. 401) Apparently, there exists no Laffer Curve for knowledge diffusion. As to Innovation itself? Just what do we mean by “Innovation”? 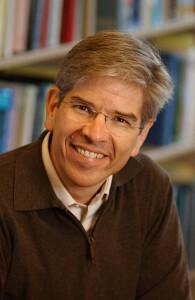 Romer acknowledged that the innovative impact of knowledge and technology on economic growth is more or less confined to the “meta” ideas. Meta ideas support the production and transmission of other ideas. (Warsh, P. 401) Innovation is confined to “Platform” ideas i.e. the Internet (thank you Al Gore)—but not an Internet router (sorry, Norman Abramson, Univ of Hawaii, 1970). Run of the mill, derivative, copy cat “innovations” which are produced daily are not what the growth economists were talking about. They were talking about combustion engines, assembly lines, computers and chips, not about the thousands of micro variations, or the transfer of innovations from one sector to another sector. Today these micro innovations are regarded as the core product of “innovation” policy and programs–but they are not, at least accordingly to Growth Economics. So What Is It I’m Supposed To Get From All This? Beat’s Me? Just Thought it was interesting and you ought to know. No, NO! Seriously, knowing where all this stuff came from should help you evaluate its merit and understand its limitations. Innovation and knowledge-based economic development has become so commonplace and pervasive, that one senses its theoretical justification for many policy and program advocates is just that — it’s commonsensical and everybody says it “the thing”. Of course, that is what bubbles are built on. Bubble “thinking” works, until it doesn’t. So here are a few ideas on what could be reasonable takeaways. First, the Curmudgeon is not sure he has really answered the question of who “thunk” up Innovation-Knowledge-Based Economics. The real answer, he thinks in the bottom of his heart, is Schumpeter back in 1942. The stuff described in this review, while it probably did lead to making Innovation Economics a sub-field of economics, was in many ways a mathematical and modeling fleshing out of Schumpeter’s creative destruction and how it could be systematized into the post Keynesian-Classical capitalistic economy. Originating as much as a mathematical and modeling methodological expedition to answer two interesting questions which did not seem to really be answered very well by mainstream economic theory, innovation economics warped over two decades into a concept of a new economy, driven by pervasive knowledge diffusion facilitated, if not created, by government and leading to constant, for all practical purposes, perpetual technological innovation and creative destruction of obsolete technologies, occupations, etc. and the replacement of that obsolete technological base with gazelle-like, creative sectors, overcoming economic gravity by virtue of their innovative platform technologies. Hold onto your cluster and enter into perpetual economic growth. Clusters don’t die, and they don’t revert to the mean. Economic Developers it is your job to manage creative destruction. Once Romer and Krugman wandered away, the sub-field attracted a new life of its own. Today you can read “The Journal of the Knowledge Economy” or the “The Journal of Innovation and Entrepreneurs” (www.springer.com), or if you prefer you can click “Ideas”, hosted by the Research Division of St Louis Federal Reserve Bank (www.repec.org). The academic sub-field seems more to have taken over by Europeans, and frankly has taken “left” turn. There are more narrative pieces in the economics literature, but math and modeling are still very prominent. The White House has created its first class of Presidential Innovation Fellows in August 2012. All of which leaves the Curmudgeon still wondering what the devil is/was the real source of Innovation and Knowledge-Based Economics’ appeal to mainstream economic development and our political Think Tanks. It wasn’t Romer or Krugman–their writings were/are undecipherable to most economics PhD, never mind the rest of humanity. The culprit lies elsewhere and so our Monty Python-like quest to discover the Gods of Innovation and Knowledge-Based economic development wanders on, through the countryside, attacking rabbits wherever we find them. But whoever the Gods are, an excellent second take away is for each of us to develop a thoughtful reflection as to whether Innovation Economics is a turning of the page away from capitalist economics. Whoa, slow down Curmudgeon! Actually, the Curmudgeon is not trying to be dramatic or even ideological. But the thought that Government could be a principal driver of creative destruction in our economy is an important evolution and just maybe a turning point. We really need to understand this new role better. However irrefutable the conclusions from economic modeling is may be, the need for a strong and active government as the driver of knowledge diffusion and a spark plug for a ceaseless innovation is a new role and you don’t have to be a member of the Tea Party to want to pause a bit and think this over–no matter how much of a buzz word and politically correct economic development strategy it has become. The issue, for us here, is not the role of knowledge or innovation in economic growth–but is it the role of government to create and diffuse that knowledge to trigger constant innovation. And constant innovation destroys whatever it makes obsolete. That is a terrible two-edged sword and is our government up to the task? Forget about whether you like government or not. Put aside the old Democrat vs Republican, conservative vs liberal election year hoopla! I’m talking about whether the real government in day to day life has the capacity, judgement, and independence to play the role Innovation Economics cuts out for it? (1) it does involve picking winners (sectors, occupations, basic research priorities, which monopolistic firms to break up, etc. ); is government good at this? (5) using a process to make decisions which is reasonably fair, transparent and not subject to, well … , corruption and influence peddling. This kind of government has not been the government the Curmudgeon has seen during his sixty-five years. In essence, Government might be too faulty an institution to play such an impartial, consistent role so seemingly required if it is to be an invisible hand of creative destruction. The Curmudgeon worries that knowledge diffusion and creative destruction are NOT inherently non-political, bi-partisan, neutral-professional dynamics–they are inherently controversial, to some degree unknowable, and hence very political set of activities. That neutralism was always the strength of the economic invisible hand and although the mathematical models are always correct, the Curmudgeon wonders if the Innovation Economists just might have added up one column too many. The accumulation of physical and human capital is important (the Two Neos), but it explains only part of the variation across countries in income per capita and its rate of growth. Technological and institutional factors (universities and schools) also affect the rate of accumulation of capital, AND THEY ARE IN SOME SENSE MORE FUNDAMENTAL. Productivity is at least as important as accumulation of capital and since productivity is driven by knowledge and innovation and is its chief byproduct. Growth rates of different countries are interdependent because knowledge flows across national borders, and therefore foreign trade and investment positively affect the incentives to innovate, to imitate, and to use new technologies. Economic and political institutions positively affect the incentives to accumulate and to innovate, and they also affect the ability of countries to accommodate change. well written article. I’ll make sure to bookmark it and come back to read more of your useful information. Thanks for the post. I will definitely return. Wow, just what I am writing my dissertation about. You cracked sir, well done. It’s great to see someone summarizing and explaining for the newbies – the lack of enough technological knowledge to understand complicated sources doesn’t mean we don’t want to know. Thank you, Sir!